The wind was in the north-east, the day started coolish and grey, but with the sun breaking out later it was all rather pleasant really, not least with lingering Caspian Stonechat, Western Subalpine Warbler (the female at the Obs), Common Rosefinch, Bluethroat and Kumlien’s Gull all present. It felt promising and there were a few new birds, with a male Red-backed Shrike at Shirva the best of the bunch, with other new species including Cuckoo, Water Rail, Grey Wagtail, Greenshank, Knot and Collared Dove. A few species showed increased counts on the previous days, including 11 Chiffchaff, 4 Lesser Whitethroat, 2 Pied Flycatcher and 5 Swift, whilst the 8 Spotted Flycatcher, 3 Snow Bunting, at least 9 Mealy Redpoll and a single Lesser Redpoll probably all included a turnover of birds from previous days. 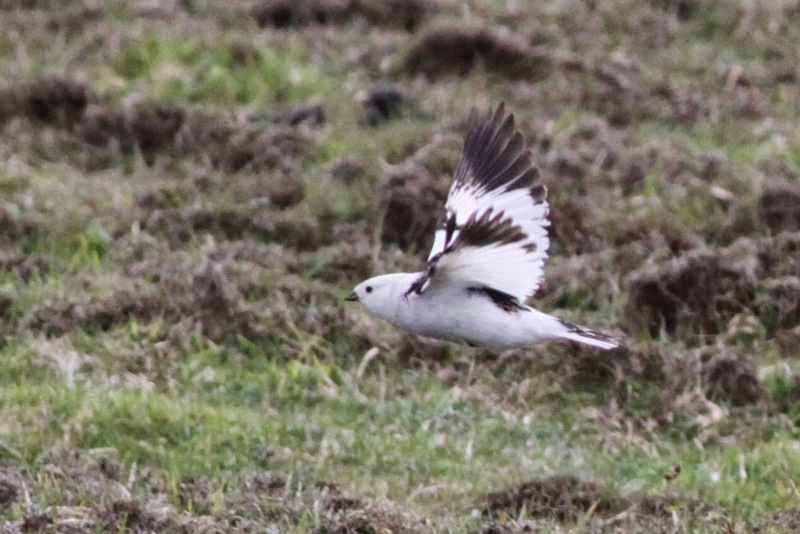 Male Snow Bunting on Ward Hill. Last year we had a reasonable sized influx in late May, although there are just smaller numbers passing through at the moment. Lingering wildfowl included Shoveler, Long-tailed Duck and Pink-footed Goose, whilst 11 Common Scoter was a sign of passage. This male Long-tailed Duck has been present around the Havens on 24th-25th May, closely mirroring the record of a drake in Furse and the Havens on 17th-26th May 2013. Presumably there's a good chance that this is the same bird. (Photo: David Steel). The breeding season continues to advance with the first Arctic Tern eggs noted and Ravens fledged from Gunnawark, although it is still too early to say how most of our seabirds are likely to fare this year. 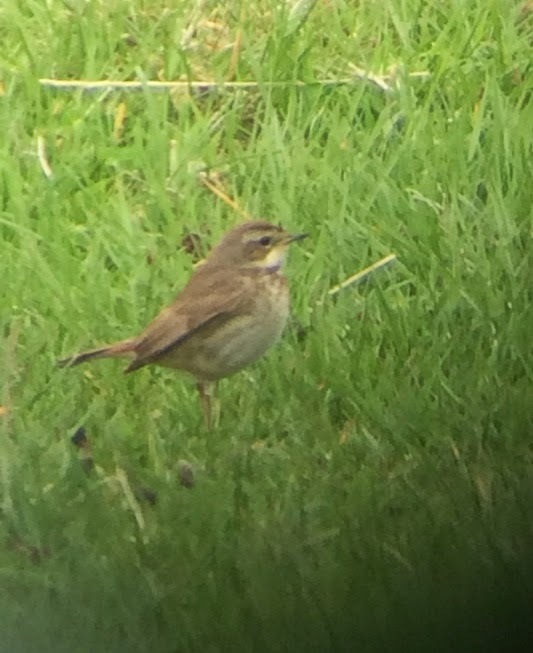 So, not a bad day, although there was a slight feeling of 'could do better' (although we're really not complaining with all those birds that we have, it's just that a lot of the excitement of birding Fair Isle is in the migration: the signs of movement and the new birds coming in). It looks like the weather is set to continue with light easterlies for a while yet, which can only be a good thing, although perhaps we'll keep just getting the odd one or two new birds unless something else happens in the weather to stir things up a bit.